Happy Cassette Store Day! 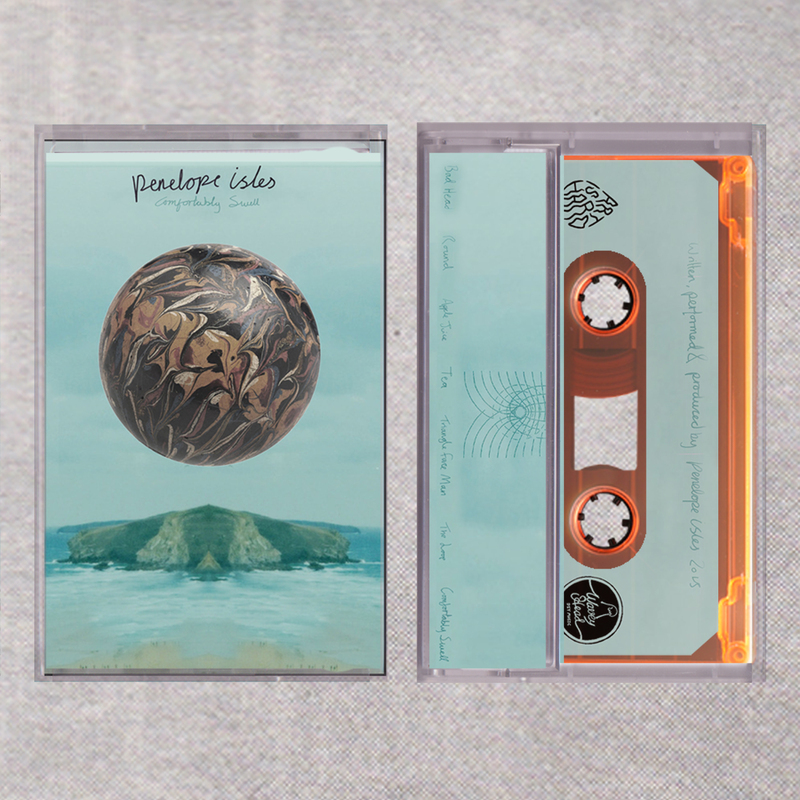 We’ve decided to celebrate by giving one of our favourite EP’s of recent times a proper physical release, it is of course Comfortably Swell, the debut EP from Brighton brother and sister duo Penelope Isles. Originally self released on their own Wavey Head label, Comfortably Swell is seven tracks of wonderfully varied melodic beach pop. I often find it quite a struggle to write about music that I love so dearly, but thankfully our pal Ross has already done a pretty great job of describing what makes this release so special. Opening slowly with each listen, the way the group engage is in their apparent ease in writing such compelling melodies. Each chorus swells with emotional value; the gentle delivery of their vocals producing the most stirring effect. Lily sings with an innate ability to evoke child-like curiosity, ‘Apple Juice‘ full of wonderment in it’s loose and adventurous moments, ‘The Loop‘ dwells on love’s disorientating nature as guitars sweep and mingle in swelling distortion, while ‘Tea‘ dreams nostalgically of the coast, patters of synth topped with another heart-wrenching chord progression through it’s chorus. It all builds around an empathetic belief in the reminiscent romance of growing up and it’s influence on what’s happening in the very present. ‘Bad Head‘s introduction is of wishful thinking and a proactive need for change; “I’m trying to act my real self / but I don’t think it’s working.”. A plea for difference and positivity opens the record to the colourful remembrance of youth, ‘Apple Juice‘s comfort and buoyancy in simplicity is the complete antithesis; “I think I’m the better swimmer / after only two weeks” Lily’s lyrics are convivial in their simplest form, yet are penned by an irrepressible melancholy, trying to hold onto the happiest of memories that allow at least a moment of escape, “grab your bucket and spade / before the memory fades“. If it had been left to me I would’ve just gone for the much less eloquent description of “Comfortably Swell is the sound of your favourite Beach House and Deerhunter records spinning round inside a tumble dryer full of glitter and that one good Melody’s Echo Chamber album. As anyone who arrived early at our Label Mates party in March or our 6th Birthday in August will attest, live, these songs take on a new form as they soar and swell. Despite their early billing both times, I think I can honestly say both times they have been my favourite band I’ve seen that day. We’re really excited for whatever they come up with next, but in the meantime we thought giving this amazing EP a bit more attention served as a nice stick in the ground. Released for Cassette Store Day 2016 on transparent orange cassette, ltd to 50 copies.